December 30, 2018. Another year has passed. If you are looking foward and planning for next year you might consider visiting the Albion Range which has a lot more to offer than Cache Peak and The City of Rocks. Livingston Douglas recently contributed 14 new route and access descriptions for peaks in the range. Cache Peak viewed from Graham Peak. November 5, 2018. Super Contributor, Livingston Douglas, climbed 107 peaks in southeast Idaho in August and September. He has provided valuable access updates and route information for each of his ascents. 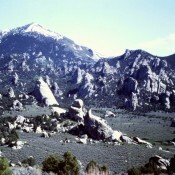 This “What’s New” entry covers his climbs in the impressive Bear River Range. Road and trail access in the range has changed significantly since the book was published—in some cases. Livingston’s detailed updates will help you navigate the range. October 10, 2018. Margo and I continue to add peaks to the website. There are now over 1,400 peak updates and/or new peaks. 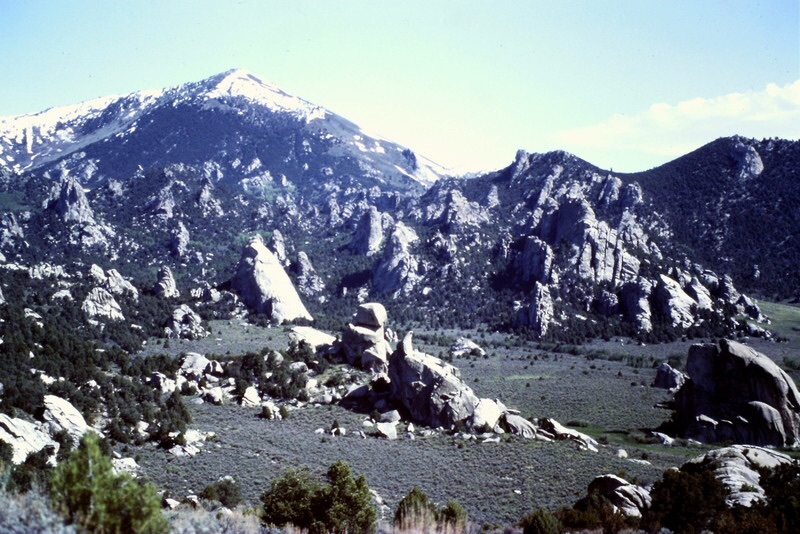 Perhaps the most exciting new additons relate to John Platt and John Fadgen’s recent completion of the six difficult peaks on Hum Ridge in the Lick Creek Range. It is likely that they made the first ascents of five of the six peaks. Start following their exploits with Humdinger and then work east on the ridge reading about Hum Peak, Ho Peak, Hum #3, Hum #4 and finally Hum #5. 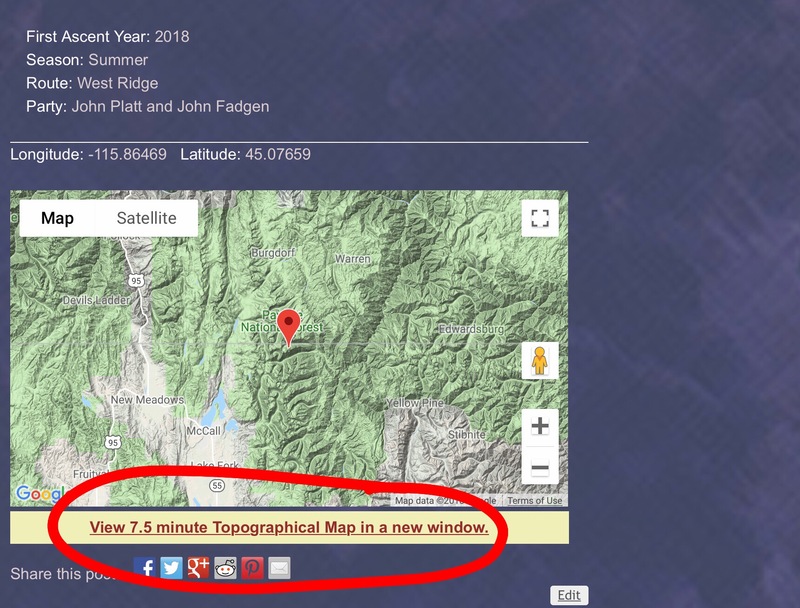 Finally, we have updated the mapping feature on the website to provide better maps and include a feature that will show public and private land so you can avoid trespassing on your way to a summit. The photos below explain how the maps work. At the bottom of each peak page is an orientation map. Under each orientation map is a link to a Caltop map. Click on the link. 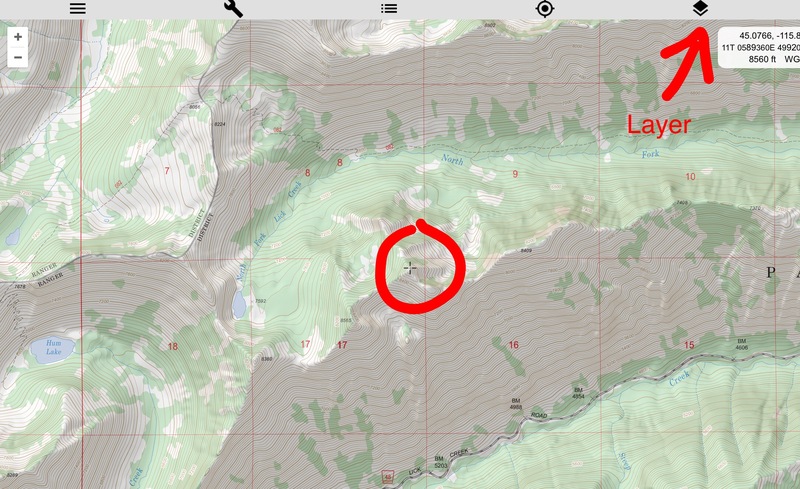 The link will take you to a Caltopo map with peak centered. In the upper right hand corner is the layer symbol which will take you to a new page with a drop down box. 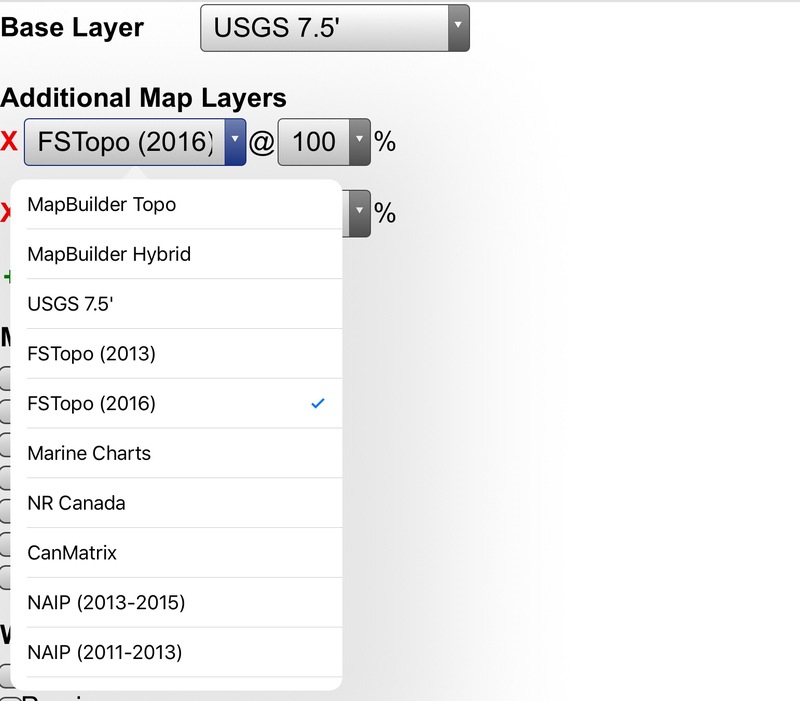 The base layer is a USGS quad but by using the drop down box you can select other maps including Forest Service Topos and satellite photos. 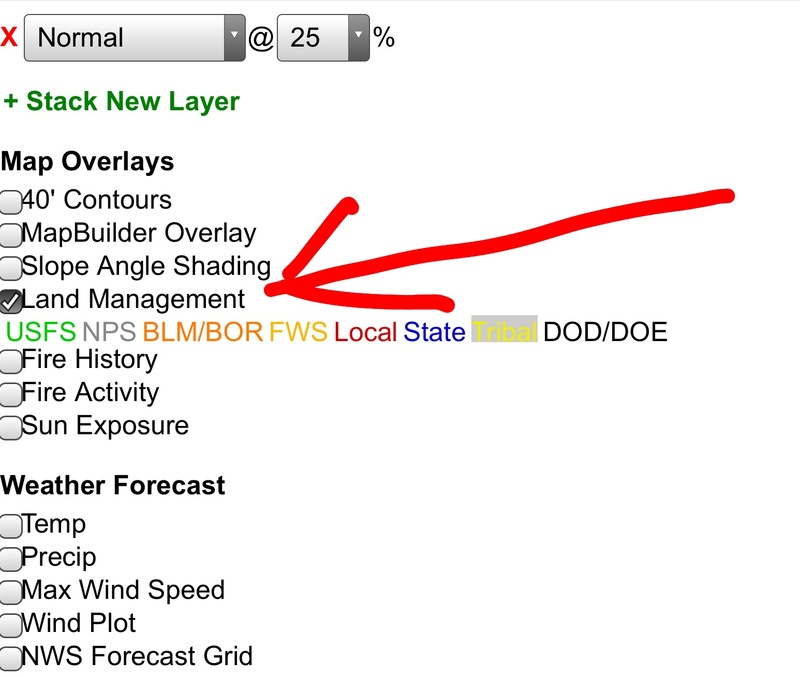 Finally, below the drop box on the layer page there are other options you can add to your map. The land management layer is perhaps the most important as it will add a layer showing you public and private land. 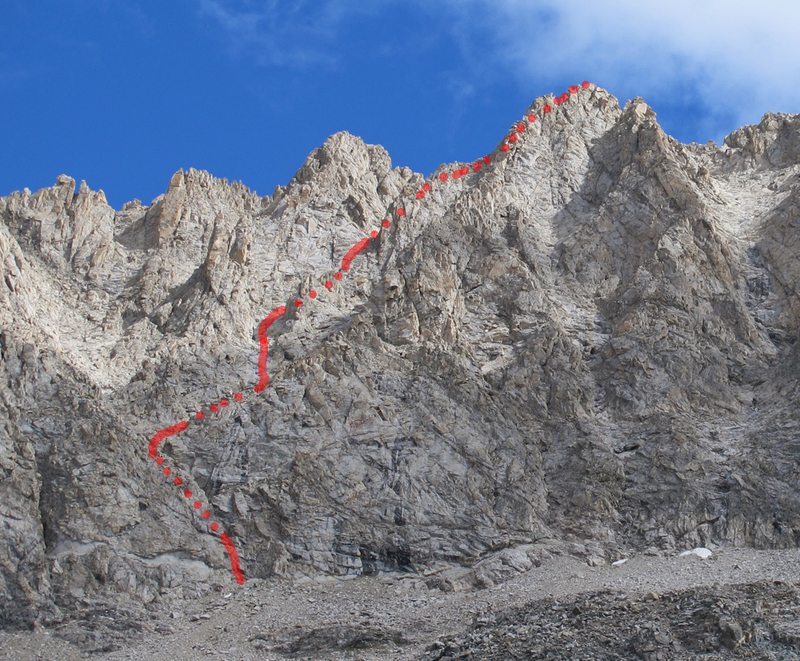 For those entertaining climbing Idaho’s 11,000 foot peaks, the Brocky Peak page has been completely revised. Brocky is a difficult peak by any measurement. July 11, 2018. For orientation purposes, I am updating the massive Salmon River Mountains by adding all of the sections contained in the book. From the side bar or the Mountain Ranges page you can create lists for Salmon River peaks contained in each of the sections shown below. Elsewhere, Erik Pohlmann has become the first person to climb all of the peaks found in the Danskin Mountains. Erik has been adding route write ups for his climbs. Search for Erik Pohlman and you will be able to read all of Erik’s contributions. February 28, 2018. Is it time to start planning your summer adventures? 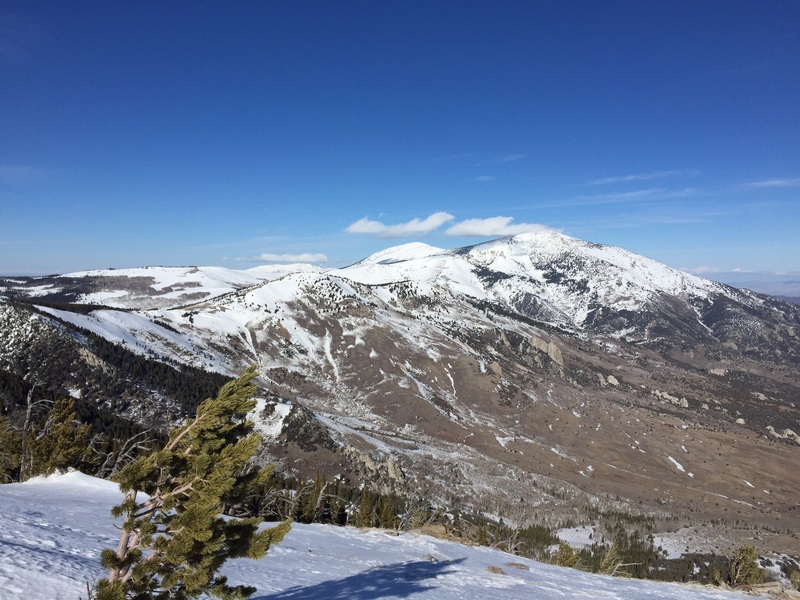 The website now includes over 1,300 updates covering Idaho peaks, climbing routes, and access routes including many that Margo and I added to the website over the winter. As always we are thankful to our contributors who are the moving force behind the website. This entry focuses on Colorado climber Livingston Douglas’ contributions. Livingston was one of the earliest contributors to this website and made his first contribution over 15 years ago. Over the winter he provided us with access updates and route descriptions for 84 different Idaho peaks that he has climbed since 2009. While his Idaho adventures have focused on Continental Divide peaks, he has also ventured throughout eastern Idaho and climbed many of that area’s most popular peaks. Livingston’s meticulousness updates constitute a serious upgrade to both the information found in the book and this website. In several instances, the updated access information provides alternative routes around areas closed (since the book was published) by private landowners. I cannot stress enough the value of his in-depth contributions that will make it much easier for you to plan climbs of these peaks. You can read each of his updates by clicking on the links below.